I am so in love with the recipe I am sharing today! 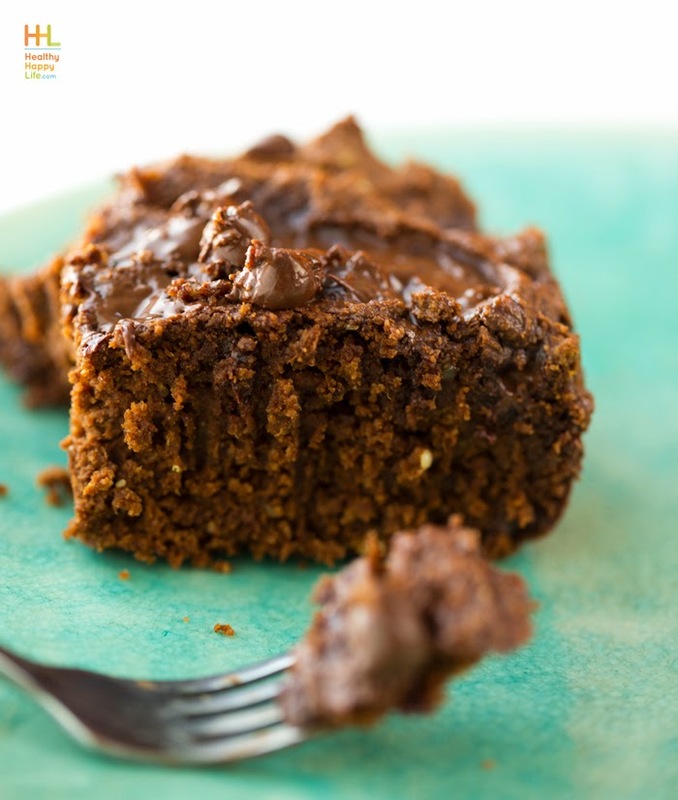 My vegan, gluten-free Triple Chocolate Pumpkin Cake is moist and dreamy and super rich in chocolate flavor, yet healthy enough to nibble all day long, guilt-free! Well, at least I am pretty short on guilt and I have been nibbling it all day long, pairing it with ginger tea and a latte. Get the recipe, a video how-to and a few little life updates!.. This Cake. This cake is amazing! 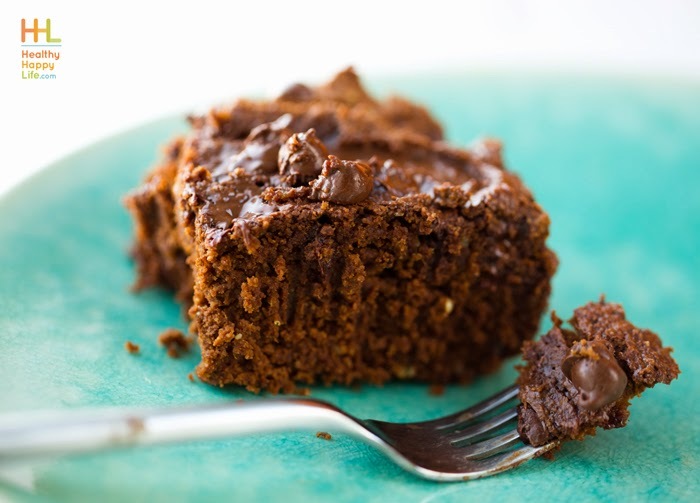 The thick batter produces a dreamy, moist and chocolate-y cake. Chocolate in the cake, chocolate chips folded in and then a chocolate ganache drizzle on top. 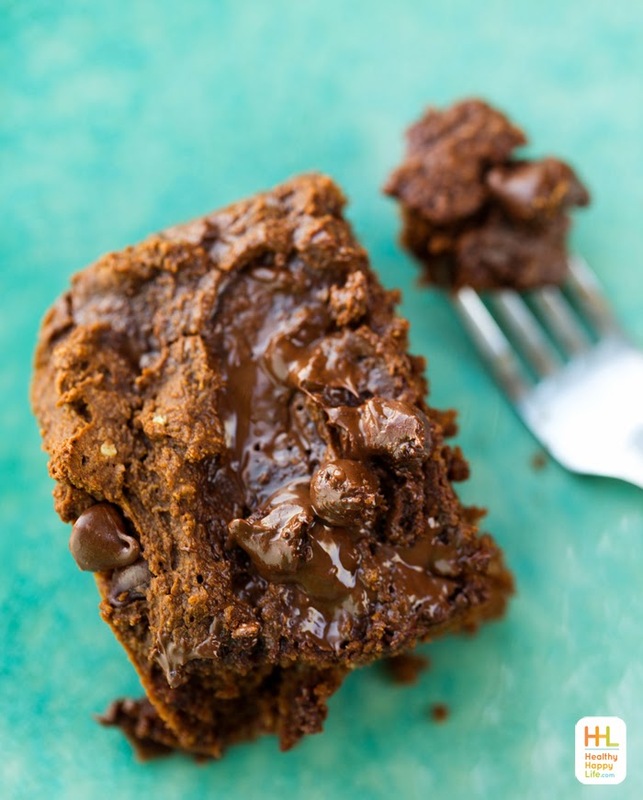 Ooey-gooey chocolate messiness in every amazing bite. 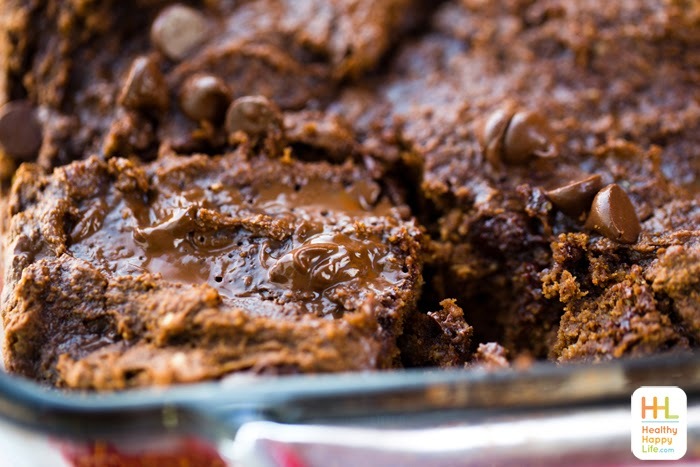 All that pumpkin adds fiber, vitamin A and moisture. The hemp seeds add some protein and oomph. Basically, this recipe ROCKS. Have your pumpkin .. and eat chocolate too. Life stuff. The past week I was in Las Vegas with some great friends, food and fun. It was all in honor of Food Fight Write, a food blogging and writing conference. Here are some of my Instagrams from the fun days in Vegas..
Now back to the recipe!.. Watch me make the cake, and get the recipe below. 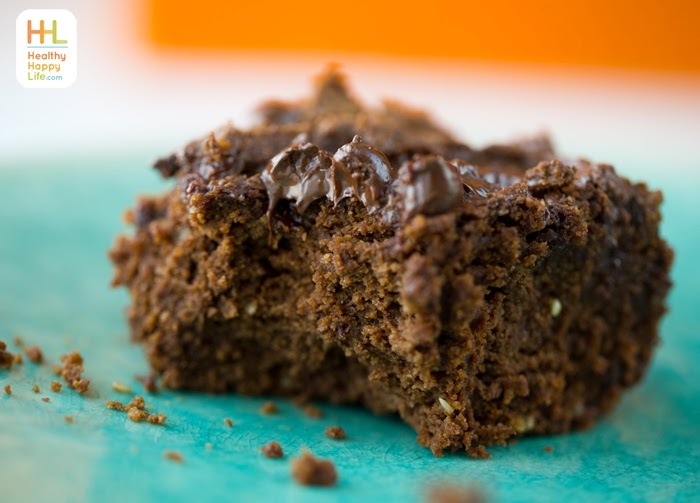 Triple chocolate cake infused with pumpkin, hemp seeds, vanilla, espresso and more. Vegan and gluten-free. Moist and fluffy! Process enough oats to make 3 cups of oat flour. Usually about 1 1/4 cups of oats for every cup of oat flour. Then add the hemp seeds to your 3 cups of oat flour and process for a few more seconds, to process the hemp seeds into hemp flour. 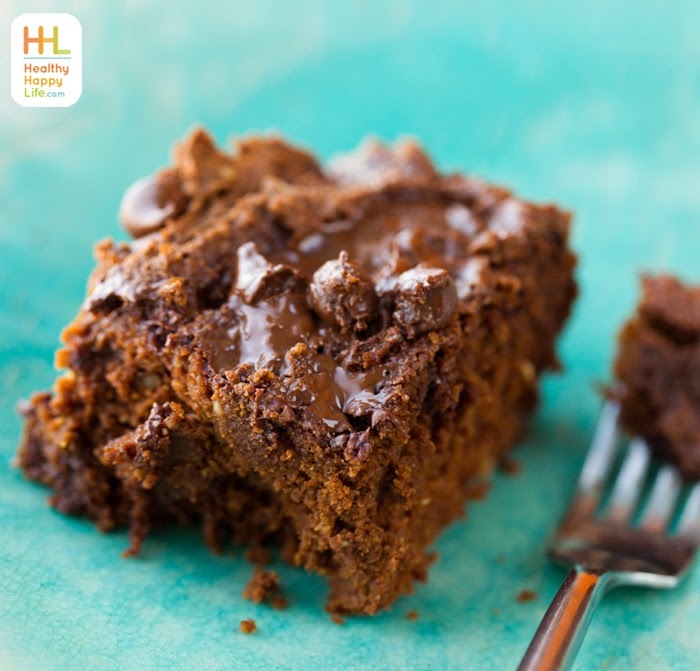 Add the oat and hemp flour to a large mixing bowl and add in the remaining dry ingredients: baking powder, cocoa powder, cinnamon, baking powder, salt. Stir to combine. Add all the wet ingredients to the dry bowl and fold until a thick batter forms. Fold in the chocolate chips. 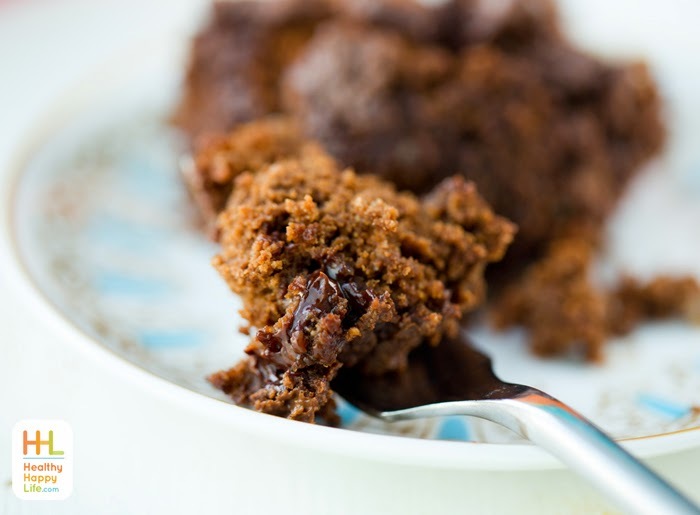 Grease an 8 x 8 inch brownie or cake dish with a teaspoon of coconut oil. Pour batter into greased dish and spread and smooth out top. Mixture will be nice and thick. Bake at 400 degrees for ten minutes, reduce heat to 350 and bake for another 15 minutes. 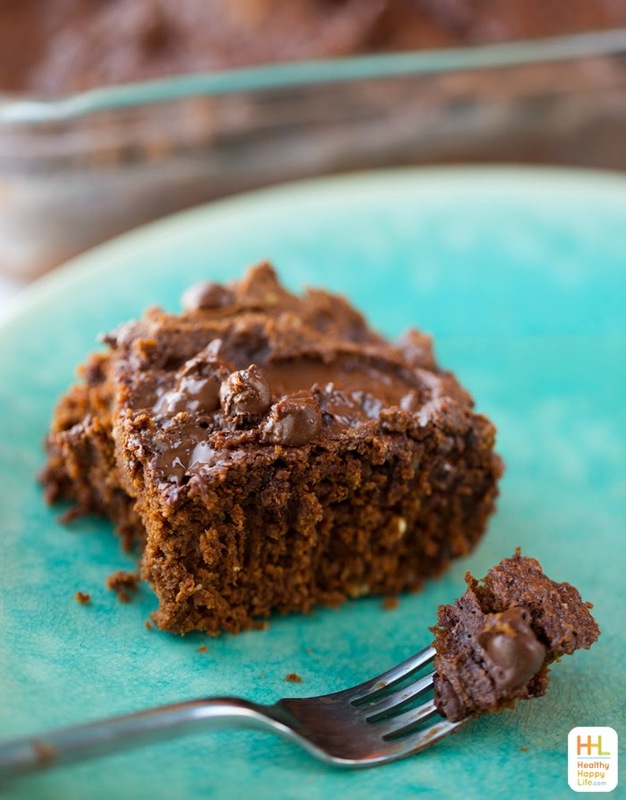 Pull cake out of oven and set aside while you create the ganache. Heat the ganache ingredients in the microwave for 20-30 seconds to melt. 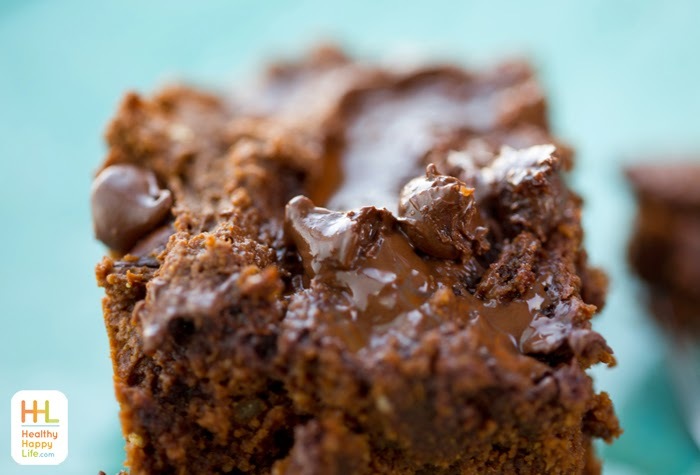 Stir briskly to combine and smooth into a silky chocolate mixture. Pour the ganache over top the cooling cake. 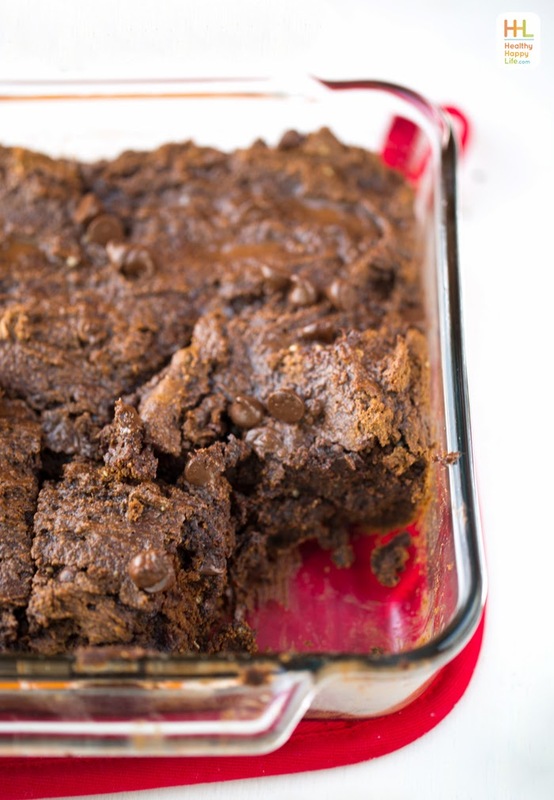 Serve right away, super warm and ooey-gooey, or cool for at least a half hour before serving. Store in the fridge for up to a few days. For longer storage, freeze in pre-cut squares.